Are you one of those who takes great delight in planning your time off – trying, wherever possible to fit cigars into your schedule? Plenty do. If you’re going on holiday, you’ll be planning what you might like to smoke and when long before the situation arises. And when precious days off work loom – as they do for many at this time of the year – you’ll also have at least one eye on the current state of your humidor. Holidays mean you’ll perhaps get more free time than you’re used to kick back and enjoy a cigar, so it pays to plan ahead. 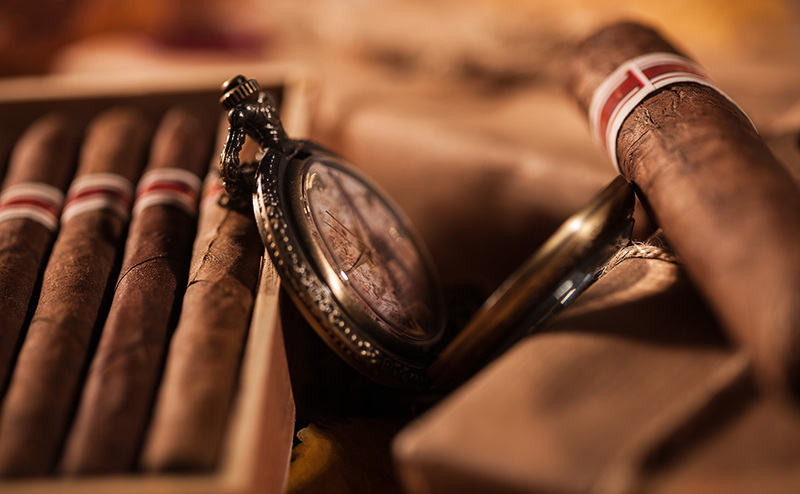 Buy your smokes in well in advance, there’s nothing worse than realising as postage deadlines approach that your humidor is not sufficiently stocked to see you through the holiday period. Even in these days of rapid internet shopping, you may be able to buy online with just a few judicious clicks. But you then have to contend with an overworked holiday postal situation which might mean your precious quality smokes sit alone in a Godforsaken depot somewhere while you puff frustratedly on cheap scrapings from the bottom of the humidor. So, it pays to plan ahead. Think about how long you may have to smoke, depending on each situation. If it’s a quick errand to the shops to buy some last-minute cooking supplies, you may have time for a cheeky half corona on the way or at a favourite café. Post lunch and supper, you might well have more time at your leisure once the tidying up is done. So, plan some longer smokes for these situations. ‘Meaty, beefy, big and bouncy’ is the term El Jeffe uses to describe his afternoon and evening cigar routines and sticks like the mighty Bolivar Coronas Gigantes or the legendary Partagas Lusitanias will fit the bill perfectly here. At other times, there may be an opportunity to grab a quick smoke between courses, or while favourite guests are enjoying a glass of something fizzy. If you’re lucky, one of them will be up for joining you, which makes the whole affair that much less fraught. Here, have some small but great smokes at hand; a Partagas D6 or a Montecristo Petit Edmundo would do the job admirably. Think too about your potential cigar smoking guests; there will be those who may enjoy one but once a year. For these, make sure you have something they’ll enjoy, but perhaps some of your best marques and vitolas will be wasted on them. And yet, if you’re hosting a true aficionado over the holidays, then by all means prepare something special. Dig out that box you’ve been carefully ageing, or buy a stick or two of something you’ve heard is exceptional. Sources like the Sautter YouTube channel will point you in the direction of some of these distinctive sticks. You’ll get to watch the guy test and rate some of Cuba’s finest and make up your own mind on what might, for you and your guests, constitute a special cigar for a special moment. That’s the beauty of the cigar world – there’s something for everyone to suit every occasion. Take great pleasure in discovering what works and what doesn’t for your palate. And rely on Sautter to be there to present you a pristine example of your chosen stick when you’re ready.